Your Wedding 101 says that “individuality is in” for wedding bouquets, giving brides free rein to choose among a wide variety of flowers. Many brides choose seasonal flowers, flowers that meet their budgets or flowers that match the colors and style of the wedding. Whatever your rationale, if you choose flowers that capture your heart, you can't go wrong. Roses have long been a favorite flower for wedding bouquets. With over 120 varieties available, roses come in an assortment of colors, sizes and prices. According to The Knot, the rose’s symbolic meaning plays a large part in its popularity. For hundreds of years, roses have conveyed feelings of love and beauty. Choose easily available and inexpensive hybrid tea roses, smaller spray roses, or lush and fragrant old-fashioned roses. 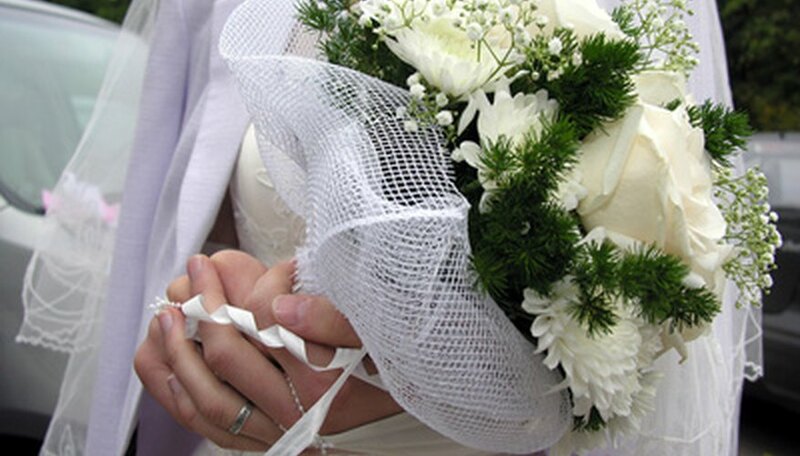 Baby's breath, or gypsophila, is frequently used to fill out a wedding bouquet. It has hundreds of tiny white flowers arranged in a billowy, spray arrangement. Baby's breath provides a contrast to flowers in other colors. It is long-lasting and inexpensive as well. Long-stemmed, trumpet-shaped calla lilies offer an exotic and sophisticated effect in wedding bouquets; miniature varieties for boutonnieres are also available. 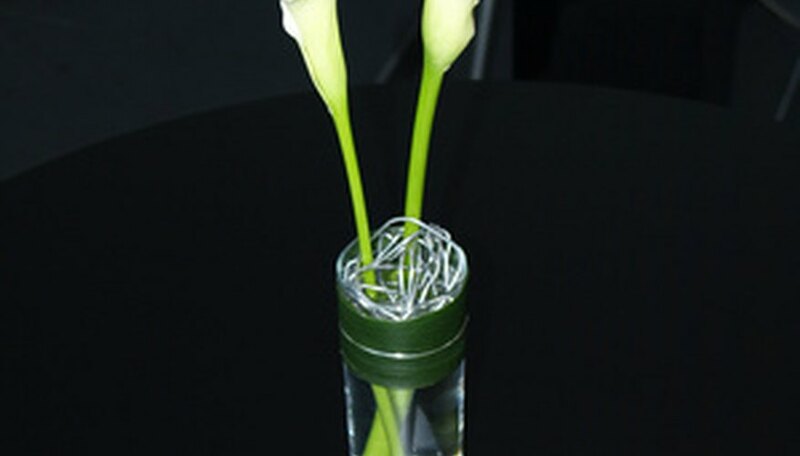 According to The Knot, calla lilies symbolize magnificent beauty. Choose from pure white, cream ivory, yellow, orange, pink or purple. Chrysanthemums are used in wedding bouquets for their durability, availability in a wide assortment of colors, inexpensive price and dramatic shapes. 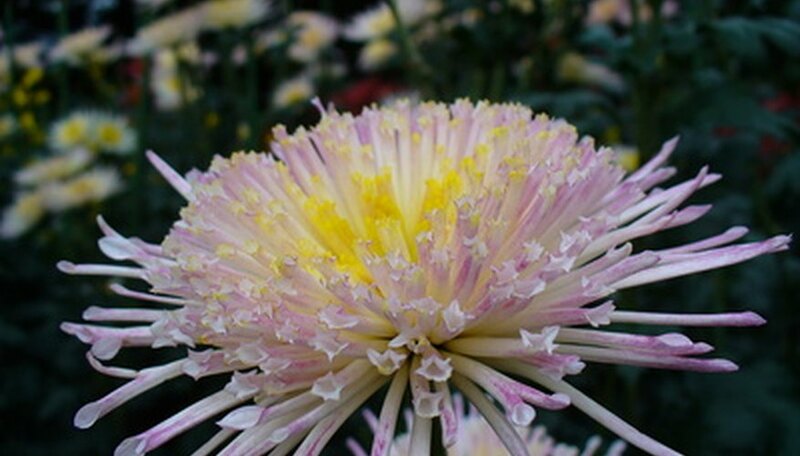 Varieties range from button pompoms with globe-shaped flowers, to cushion chrysanthemums with tiered rays of petals up to 3 inches long, to spider chrysanthemums, also with rays of petals with a raised center. Many chrysanthemums have multicolored blossoms, with yellows and pinks or greens and whites blended together. 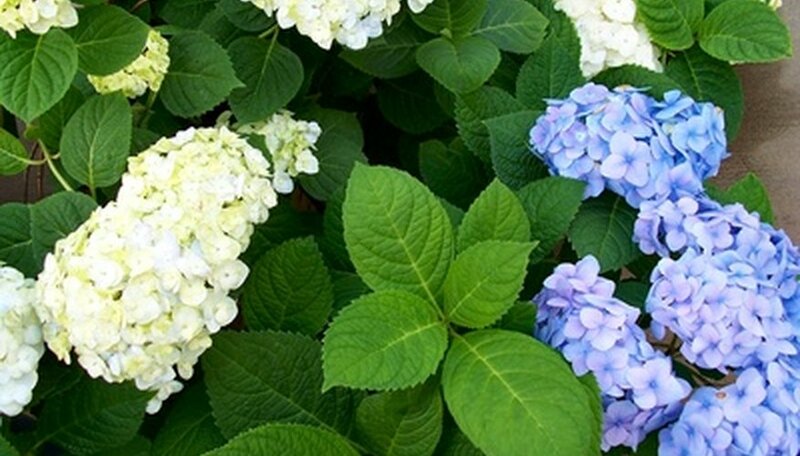 For a dramatic, springtime flower, choose large hydrangeas in shades of pink, blue, white, green or purple. Hydrangeas are moderately priced and are long lasting in a bouquet. Because they are large, only one or two flowers can fill out a bouquet. Every bouquet needs small filler flowers to contrast and showcase larger blooms. 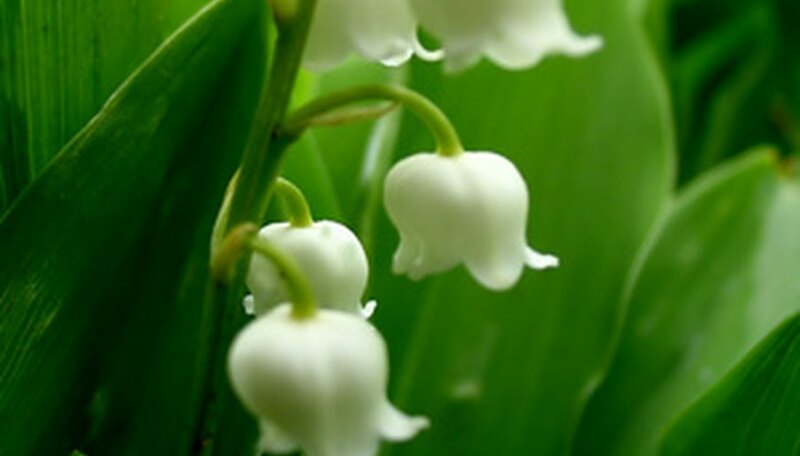 Lily of the valley serves this purpose well, with very small, bell-shaped flowers dangling from graceful green stems. They are plentiful in the spring and while available during the rest of the year, are more expensive off-season. 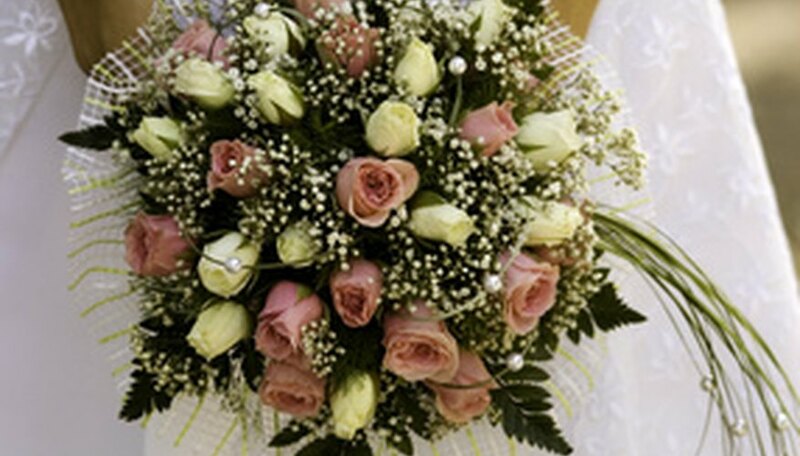 Most often seen in the white variety in wedding bouquets, they are also available in a dark pink variety. The Knot: Wedding Flowers: Why Roses?